Waterside Beacon Street! This Quintessential Back Bay Riverside Corner One bedroom has it all! Located in the highly sought after and Historic Barron’s Mansion with Exquisite Common area Original Detail! Prime Location, River Views, Deeded Parking, Elevator Building! Large Scale Rooms with Sunshine & Windows Everywhere! The French Baroque mansion was built in 1871, and was once the home of Clarence Barron. Barron was President of Dow Jones, manager of The Wall Street Journal, founder of Barron’s Magazine, and his portrait hangs prominently in the lobby. 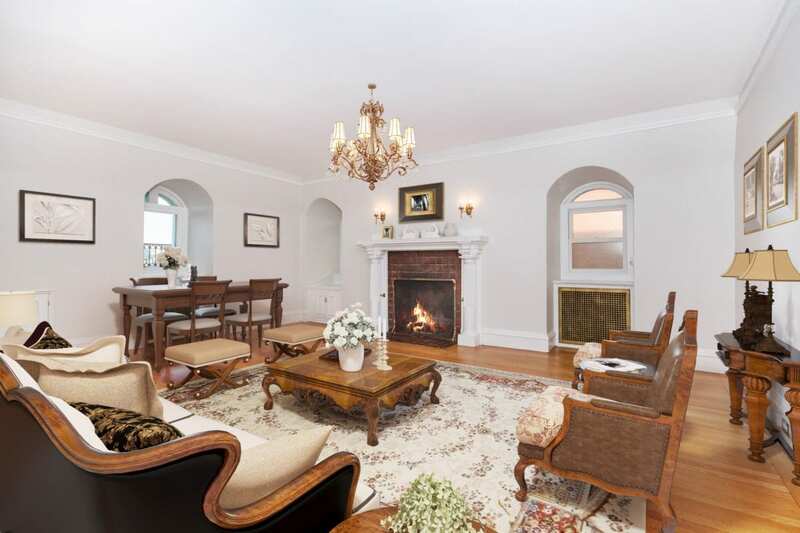 The Formal Livingroom/Diningroom has 3 Sundrenched Windows, Great ceiling height and a gorgeous ornate fireplace. The very efficient Chef’s kitchen has been updated with custom cabinetry, granite countertops, high-end appliances and also has a window. Enormous Master Bedroom Suite has a Wall of Sunlight with full Glass French Doors, Giant Walk in Closet, Period Fireplace and Full Bath! Gleaming Hardwood Floors! A Full Parking Space too! Click Here to see the Floorplan and More Photos!